The last few years have been spent observing the gaits of a horse. Watching the movements of their legs and the variety of ways they can get from point A to point B inspired me to start a new series of objects d’art. The initial attempt to create a piece in the equine genre was entitled “Caballo Femenino Yoni”. 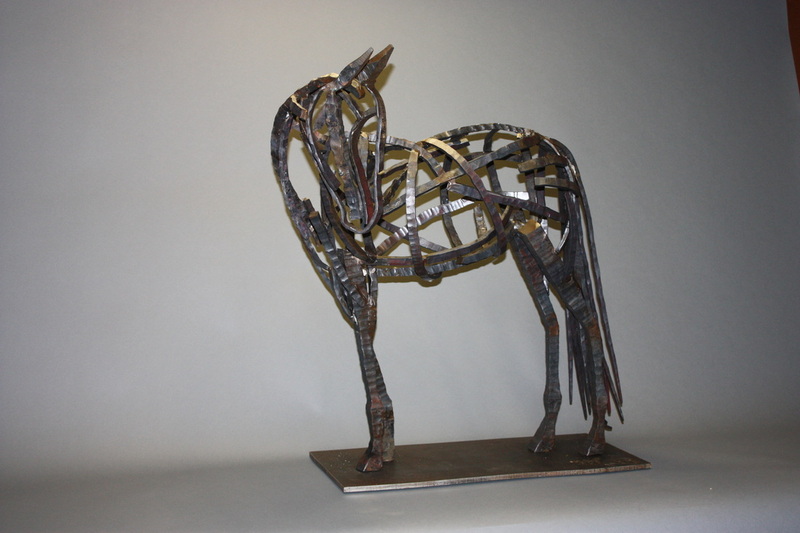 Yoni ended up becoming a hand forged steel horse that was nothing more than a horse. The first 5 hours consisted of hammering out legs and placing them on the ground to view and then adding ribs, neck pieces, cheekbones and other odds and ends were for detail. The more added the less sculpture like the piece became. The process gave me the desire to create this new series. 2013 will be an investigative year to explore when to stop the art process and when to call a piece done. 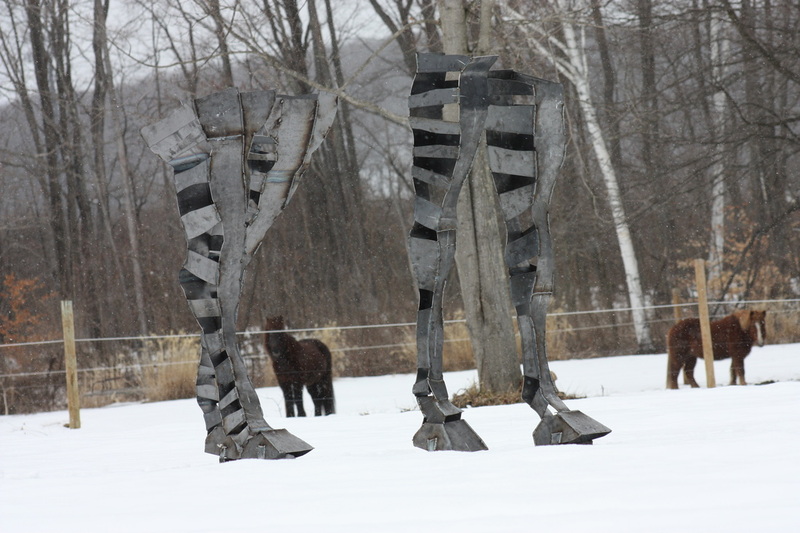 It will be a research project on how much of a horse sculpture can still be a horse with almost nothing but legs or just a couple of hooves on a steel or wooden pedestal. The art enthusiasts and the equestrians can be the judges of whether it is art, sculpture, or craft. 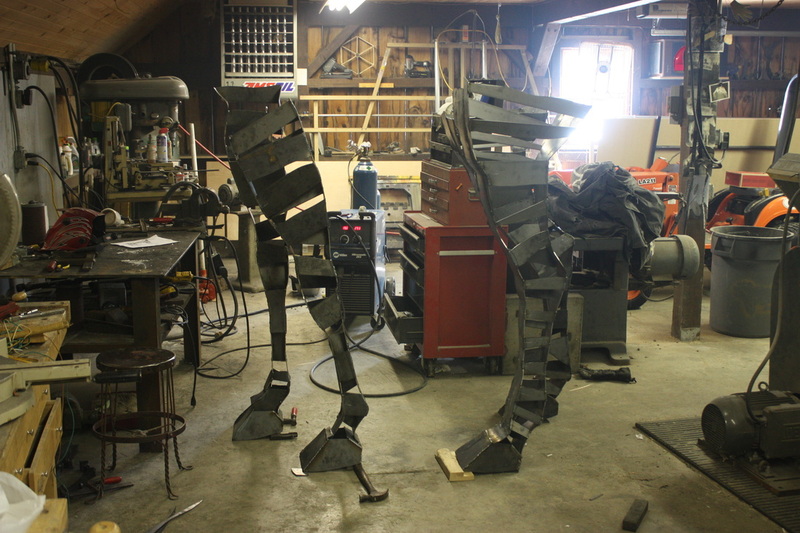 The project entitled “Horse Parts” will be an installation at Lost Acres Vineyard from August 9th through September 8.